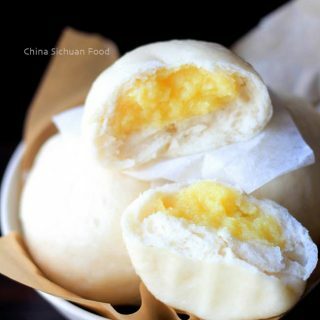 Hong Kong Style Chinese pineapple bun also known as Bolo Bao provides a really strong contrasted taste between the sugar butter crust and soft Asian style bread. 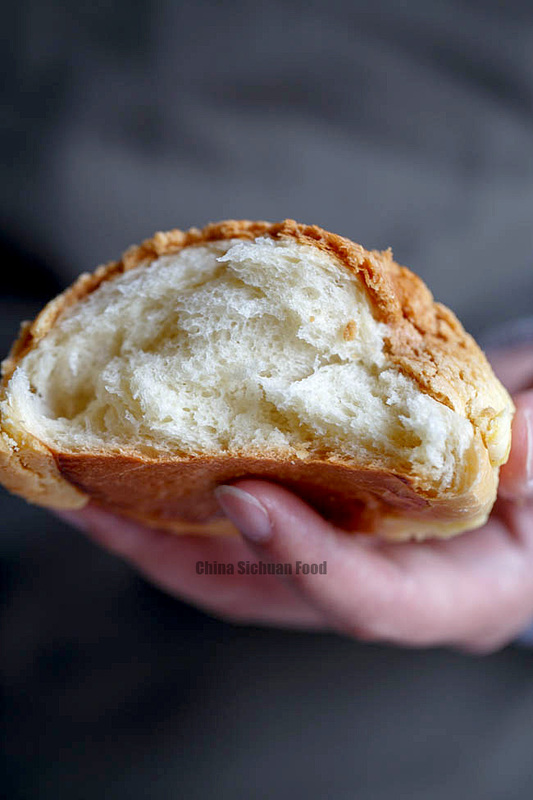 I was not a bread lover until I moved to the city of Shenzhen, which is quite near to Hong Kong. Hong Kong fusion bakery is quite appealing and additive to me. 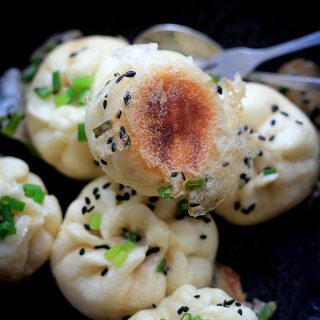 My daughter loves all kinds of bread, so I have developed several bread recipes; from the very basic milk bread, to baked char siu bao. With the assistance of a stand mixer, making bread at home is quite easy and funny. 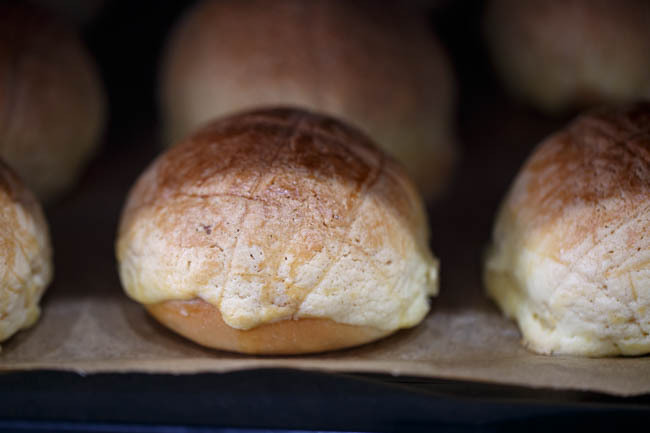 Pineapple buns should be served warm when the topping is still crispy. You can re-heat the bun at 150 degree C for 5-8 minutes. 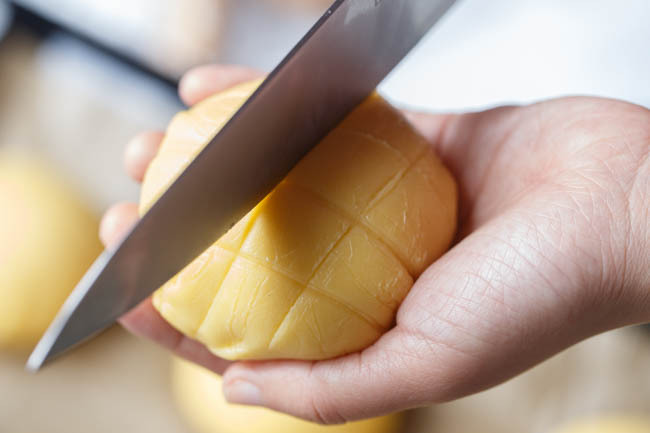 A popular serving method is to cut a line in the middle and add a slab of high quality of butter. 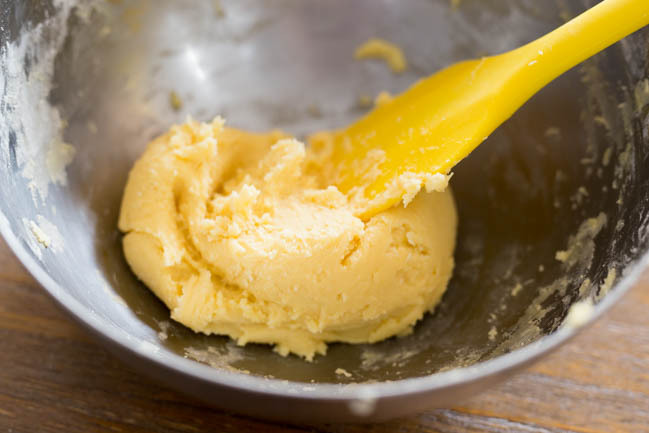 To prepare the dough for the bread: In a stand mixer, add all the ingredients for the dough expect butter. Knead for 8-10 minutes at low speed. 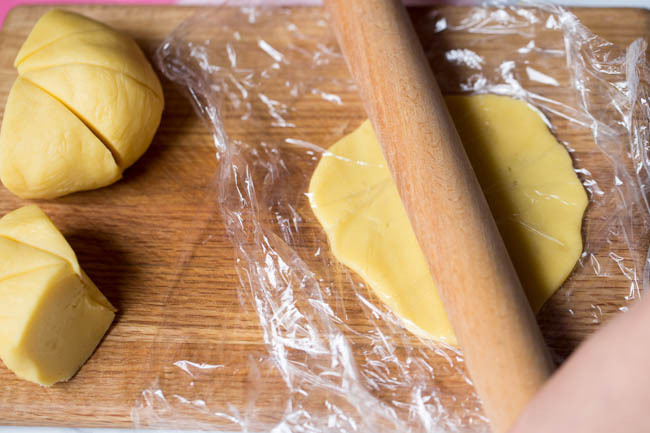 Then place softened butter in , use lowest speed to knead for 1-2 minutes until the butter is well combined with the dough. Speed up the stand mixer and knead another 10 minutes until the dough becomes quite elastic. Place the dough in a warm place, covered and wait until at least 2 times in size. To prepare the crust topping: In a large bowl, use an electric mixer to cream the softened butter until smooth. Add sugar and continue to beat until fluffy. Add egg liquid and shift cake flour. Mix everything well. Place in refrigerator for around 30 minutes until slightly hardened. So you can handle the crust dough easily soon. 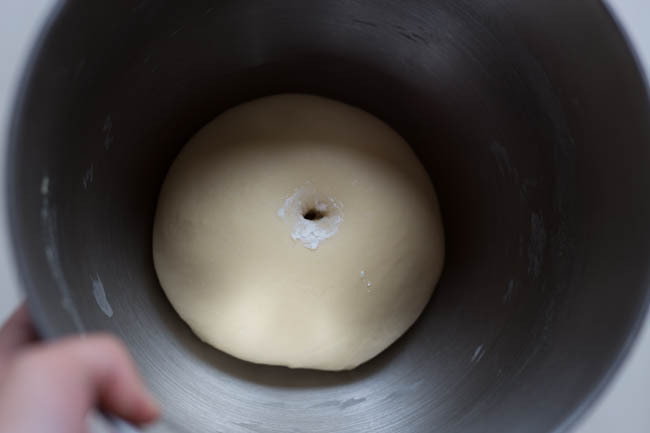 On a clean surface, knead the dough again for minutes until the air is completely pinched out. 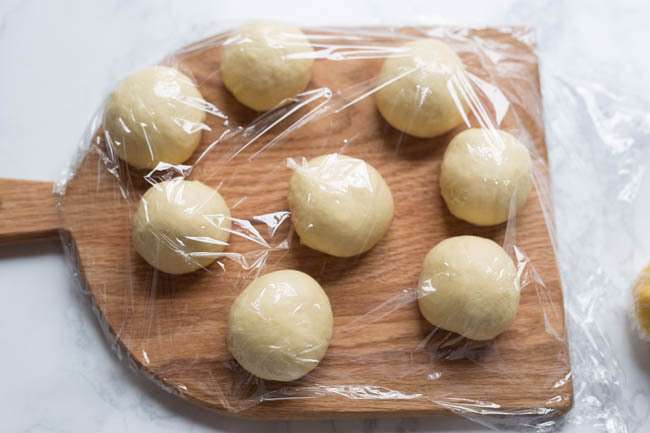 Divide the dough into 8 equal portions. Covered and rest for 30 minutes until 1.5 times bigger. Divide the crust dough into 8 portions too. Roll each one to a round wrapper. The wrapper can be a slightly sticky and you can roll it with the help of plastic wrappers. Place one wrapper on the board, then flat the crust portion, cover with another plastic wrapper. Cover the crust over the bun (from the top side). Add some cuts for a lovely appearance. Pre-heat over 200 degree C firstly and bake for 8 minutes. Then turn the oven to 180 degree C and bake for another 10 minutes. Lovely? In a stand mixer, add all the ingredients for the dough expect butter. Knead for 8-10 minutes at low speed. 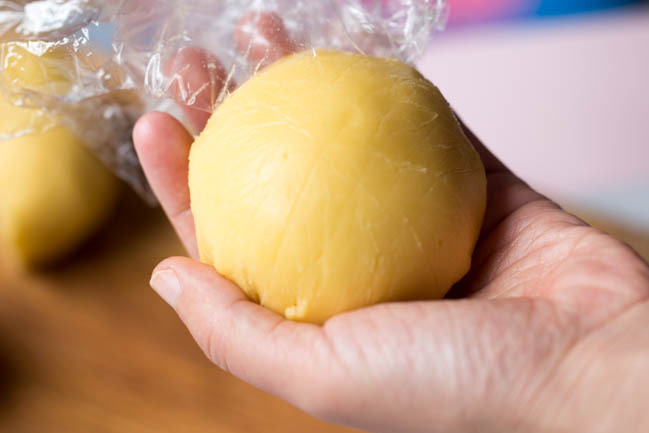 Then place softened butter in , use lowest speed to knead for 1-2 minutes until the butter is well combined with the dough. Speed up the stand mixer and knead another 10 minutes until the dough becomes quite elastic. In a large bowl, use an electric mixer to cream the softened butter until smooth. Add sugar and continue to beat until fluffy. Mix egg liquid and shift cake flour. Mix everything well. Place in refrigerator for around 30 minutes until slightly hardened. So you can handle the crust dough easily soon. Pre-heat to 200 degree C (395 degree F) firstly. Brush egg wash on top. Brushing Bake for 8 minutes firstly and then turn the temperature of oven to 180 degree C (355 degree F) and bake for another 10 minutes. The Nutrition Facts is based on every single bun. I have seen this kind of buns quite often in Hong Kong. They are so yummy! So these buns actually don’t have any pineapple in them. Is it named as pineapple buns for the look? There is no pineapple in the dish. The name comes from the look. 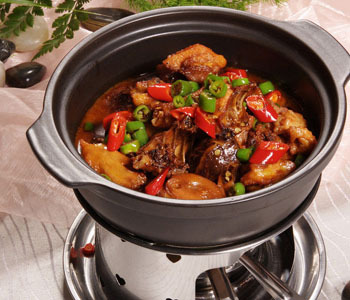 Chinese people love to name dishes with descriptions and imagination. I am always having those buns in Hong Kong style bakery. Now this is one of my favorite. Try it when you have time. Hi. 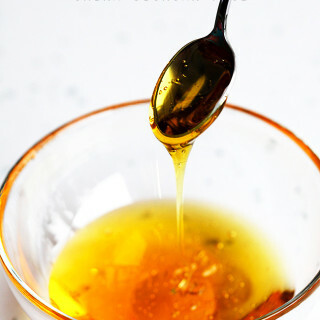 Can you tell me what egg liquid is/the ingredients to make it? egg liquid is just whisked egg. Hi Elaine, these look delicious! Is ‘Egg liquid’ just the egg white or both white and yolk? It should be whole egg including egg white and yolk. Can I do this without a bread machine? you mentioned you used a bread machine in the introduction but not in the instructions part. Bread machine is just for kneading the dough.I do not use it for baking. So yes, you can do this without a bread machine. hi, can i replace the bread flour with other flour e.g plain or self raising? You should learn making cocktail bread. It is the second best bread in Hong Kong in my mind!!! That’s a great suggestion Charli. I will search for an chance to learn it. Thanks for leaving me this note. Thanks a good suggestion. I will update the recipe later. Tried this recipe but am a little confused. My crust looks like creamed butter instead of dough so I had to pipe it on top of the bread. What should I do? Also, you said cream the butter and sugar, then later sift sugar in. You said we need 60g powdered sugar, does that mean 30g cream it with butter and 30g sift it with cake flour and milk powder? 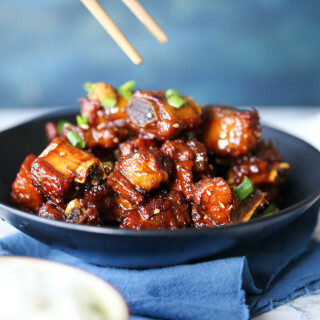 Thanks for trying my recipe and your treasure feedback. If the crust looks too creamy, you will fridge it for a longer time for the butter to turn to solid state. And for the second question, I have update the recipe. We need 60g powdered sugar. Thanks for the awesome recipe and steps! I look forward to trying it! Quick question though, for the ingredients for the dough, when (if you do) add the egg liquid you listed? or is that for brushing? Thanks again! Thanks for brining that to attention. I the egg for the dough should be mixed firstly with the flour. Look forward to your good news. 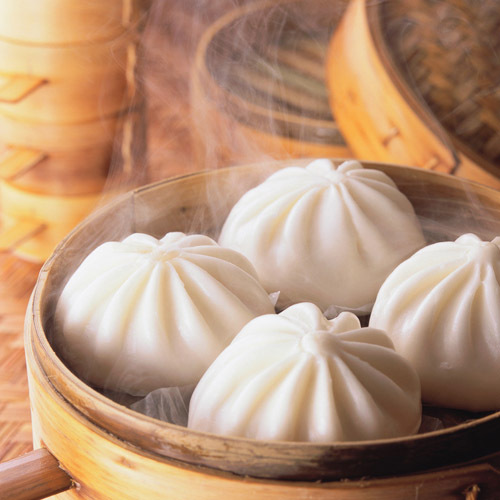 Can you freeze the bo lo bao dough? Do you mean freeze the dough or the topping? I have not tried freezing them before! But you can put the dough in fridge and length the proofing time to the second day. Sorry Elaine, Don’t answer my previous question. Found the answer on your site. Good Luck Wendy. I hope it turns out great for you. can i make buns and freeze and then bake the day of party? 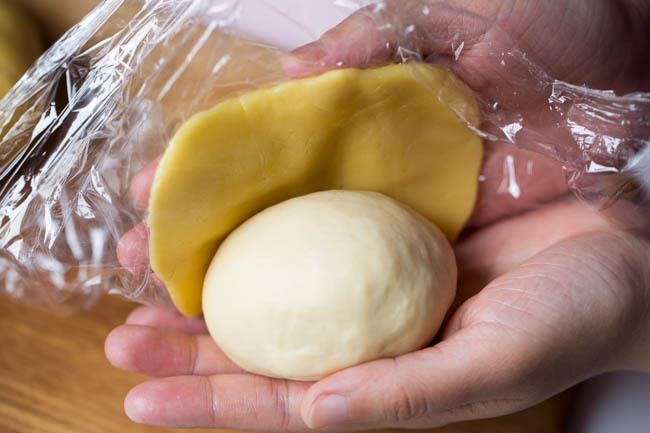 I never tried to freeze the bun dough. Sometimes I make the dough in the previous day and then freeze them for baking in the next day. 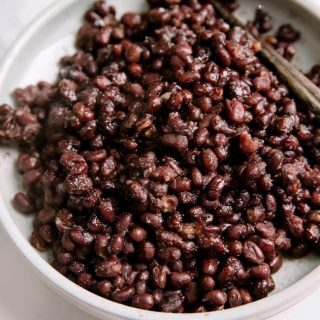 do you have the recipe converted to pounds/ounces? 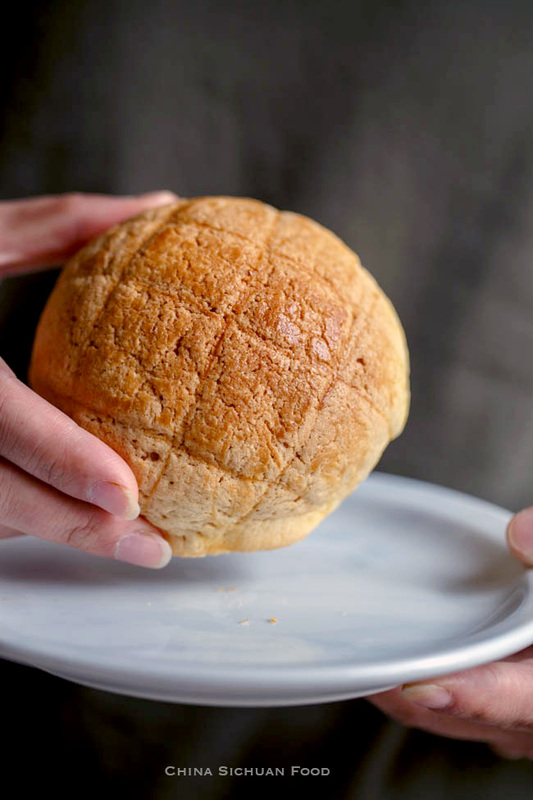 Hi I’m trying to figure out the filling for a baked bun I get (and adore) fromTai Pan bakery. It’s no longer close to home since I’ve moved 2 hours from it. 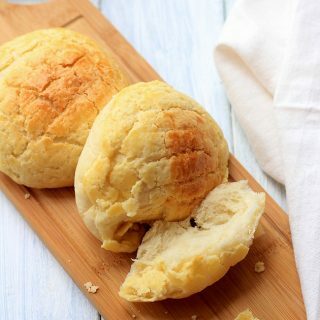 The bun is very similar to pineapple bun , that is a milk bread base with the baked topping . The difference is it s topping is. Or yellow – more a white color studded with dried currants; filled with a baked custard. The filling is not creamy at all; it’s a semi solid cream cheese like slightly salty somewhat grainy filling. It’s not super sweet and I know it’s not taro. They advertise it as a baked custard bun. I believe I know the buns you are referring to. 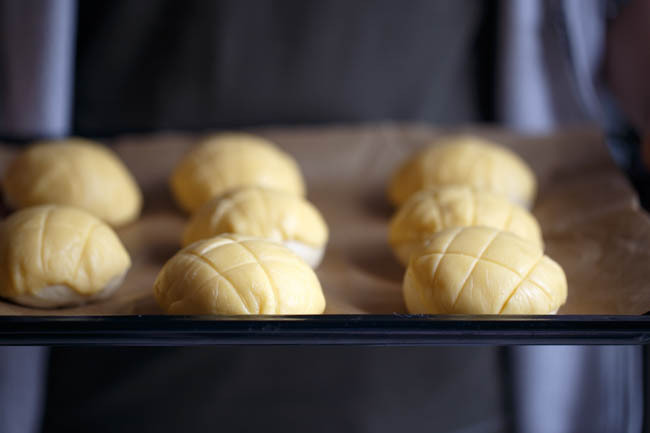 The semi solid cream cheese like filling you mentioned is the one I used in my steamed custard buns. 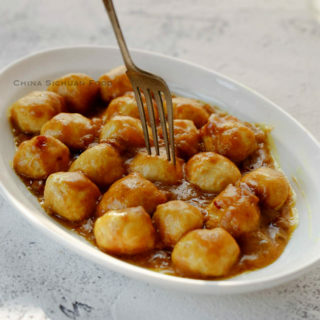 We have two types of the filling in China using custard. The running one is with salty duck egg and the semi-solid one is with milk. 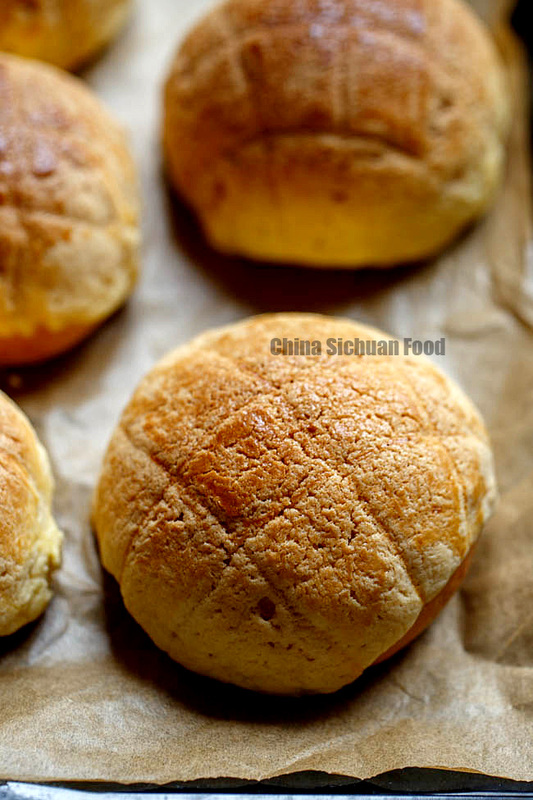 I will try to post a classic Chinese baked custard buns. And they might be quite similar to the one you are asking for. Hi, may I know roughly how long it will take for the first proofing? Can I use Eggs and milk That is cold? It depends on the room temperature. If it is around 25 degree C, 2 hours should be enough. It is ok to use cold egg and milk in hot summer, but the milk and egg should be warm or at least room temperature in winter. Otherwise the proofing process can be quite long. Thank you very much for the Pineapple Bun recipe; it is one of my favourites! 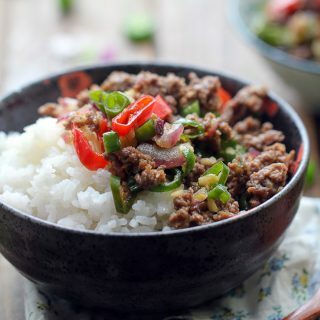 My other favourite is the Chinese Curry Beef Bun … I would love to have the recipe for it too?